Orchardgrass control, or lack of? Last night while cruising through Facebook I can across a blog that Dr. Nick Christians from Iowa State wrote about orchardgrass. Take a good look at the pictures because you might have some in your lawn too. Now controlling orchardgrass is a different story. Just because we can identify it doesn’t always mean it is easy to control. Unfortunately, there no selective control options that we can use in cool-season turfgrass systems. Many different chemistries (mesotrione, chlorosulfuron, metsulfuron, and more) have been tested at Purdue but didn’t even provide satisfactory control. So with that being said the options out there right now are physical removal, blah… Or non-selective herbicides like glyphosate. Fall planting time is close at hand, so it’s time to talk about grass seed. Many people have the idea that all grass seed is basically the same. Big mistake! 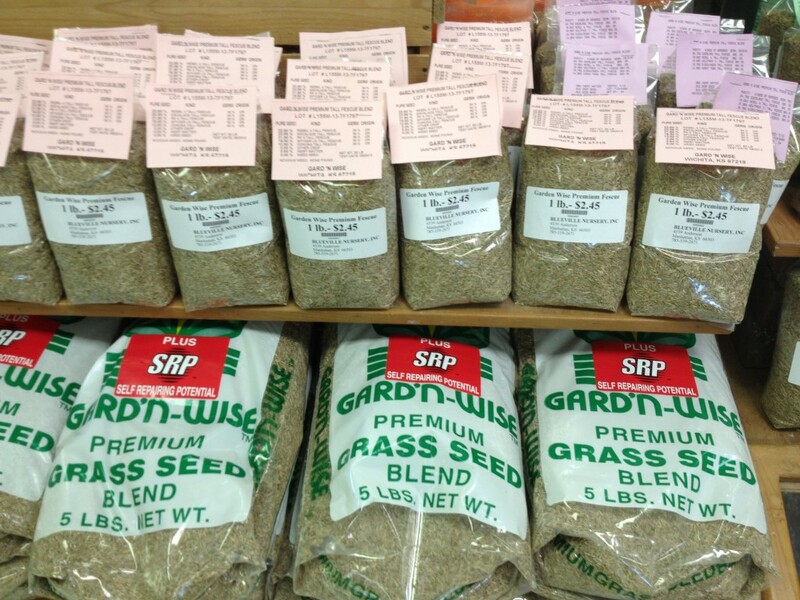 Choosing quality seed is one of the most important steps in successfully planting or overseeding your lawn. If you don’t know what to look for, you may be introducing unwanted intruders into that new stand. In particular, we are concerned with seed contaminated with orchardgrass and/or rough bluegrass (also known by its Latin name, Poa trivialis, or Poa triv for short). These are both perennial grassy weeds that cannot be selectively controlled once they are in a lawn. Buying quality seed starts with knowing how to decipher the seed label. One of the most important things to look for is listed as “% other crop.” “Other crop” refers to any species that is intentionally grown for some purpose. That would include turfgrasses (those species other than the one you are buying) and pasture grasses. Orchardgrass and rough bluegrass both are listed as “other crop” seed. Seed labels are required by law to show the percentage (by weight) of “other crop” in the bag, but unless a species constitutes 5% or more, the label doesn’t have to list each species by name. How much “other crop” is too much? That’s a difficult question to answer, but the tolerance is very low. It depends on what the “other crop” actually is, and the quality expectations of the buyer. In practice, “other crop” may refer to something relatively harmless, like a small amount of perennial ryegrass in a bag of tall fescue, or it may refer to something bad, like rough bluegrass or orchardgrass. The homeowner really has no easy way of knowing what the “other crop” is, although there are some hints. If it is something bad, less than ½ of 1% can ruin a bag of seed. Obviously, if your expectations are high for the area you are planting, you would want the “other crop” to be as close to zero as possible. Good quality seed will often have 0.01% “other crop” or less.